A comprehensive roof inspection to determine the structural integrity. Assessment of any necessary repairs and/or shingle replacement. Application of our bleach-free, environmentally-friendly cedar cleaner to remove dirt and fungus, in conjunction with a controlled, pressurized cleaning system. 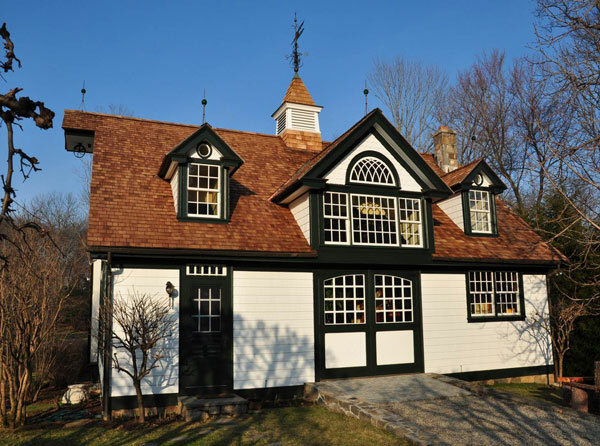 Our process has been used to clean cedar roofs and siding on countless homes throughout Fairfield and Westchester counties. It will dramatically improve the beauty of your cedar roof or siding, adding years to the life and value to your home. View some of our favorite before & after project transformations!